Our focus is on bringing health and harmony into your everyday life. 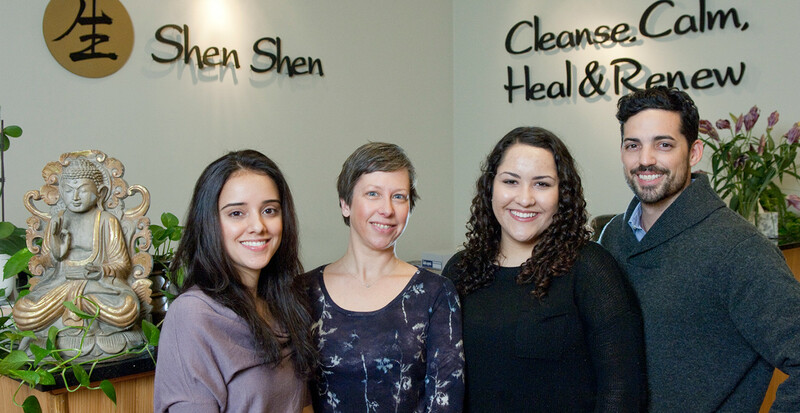 Shen Shen Health and Harmony has been providing the Chicagoland area with acupuncture, Traditional Chinese Medicine, massage and bodywork services since 2004. Since then we’ve treated thousands of people, making many lives better in the process. Our goal is always that you leave our clinic better than when you came in! Depending on what you’re experiencing, you might initially need to visit us with more frequency. Your system may need the extra support before we can begin spacing out your treatments. You shouldn’t have to come in every week unless it’s absolutely necessary. We want you to have the tools and energy to feel good about handling your own health confidently. It’s recommended that you come in about once a month when already feeling good to maintain good health and keep your qi flowing freely. Staying out in front of illness is how we feel it’s treated best! I’ve been a practitioner at Shen Shen since November of 2005, when the clinic was owned and operated by Kyla Marabella (then Huber). She provided the practitioners a nurturing community where they could practice their respective crafts with little interference. That translated to varied modalities and styles that patients and clients could sample in order to treat their various needs. I bought the clinic from her in 2012, and aimed to keep the same serene energy and pleasing atmosphere that our patients and clients told me they liked. A few things have changed over the years: an additional bathroom, online scheduling, a new sound system, and table warmers to name a few. The one thing that we will never change is our commitment to you and your health. Should you ever have questions or comments about what we’re doing or how you’re feeling, let us know! You can contact the front desk or contact me directly at bob@shenshenhealth.com or use my cell phone: 773-531-1561. Thanks so much for the privilege of your business and trust.